It is a single-day holiday and is the 114th anniversary of the declaration of Philippine Independence from Spanish rule and declaration of the first Philippine Republic by the Magdalo faction of Gen. Emilio Aguinaldo. I've been reading the stories of the Philippine Independence when I was young and have only read them in history books over 2 decades ago and it is just the right time to check out these locations and rediscover my national identity. I'll be coming from Manila and so the first stop is the Battle of Zapote Monument. The Battle of Zapote is the site of two key battles. The first battle happened during the Spanish colonization at February 17, 1897 as an army led by General Emilio Aguinaldo has defeated two Spanish brigades which has resulted to the eventual separation of the whole Cavite province from Spanish rule that led to Philippine Independence a year later. The second battle was June 13, 1899 when General Pio Del Pilar fought with Americans to protect the province of Cavite from American colonization. Both suffered numerous casualties. The monument is in the middle of a marketplace and authorities of Bacoor, Cavite and Las Piñas City should work together to maintain this area clean for tourists and Filipino nationalists. Next stop is the Battle of Imus monument. This is located at the heart of Imus, Cavite just right after crossing the historical Sta. Isabel bridge of Imus river. It is along a residential road in Cavite. The battle happened last August 31, 1896 against Spanish rule and is the first major battle won by the Magdalo faction of Gen. Emilio Aguinaldo and this battle was led by his brother, Baldomero Aguinaldo. This is the battle that turned the tide to Philippine patriotism when the revolutionary forces of Andres Bonifacio's KKK suffered a grueling defeat at San Juan Del Monte, Bulacan. Sadly, this area is already forgotten in neglect and even the locals around this area find it strange when we took pictures of the monument. Most people I asked along the area didn't even know the momentous event that happened here. To them it was just a mere monument at the sidewalk. The next stop is the famous Aguinaldo Shrine at Kawit, Cavite. It is the residence of the first president of the Philippine Republic, General Emilio Aguinaldo where a monument was built in memory of him and a mural of the declaration of the first Philippine Independence. 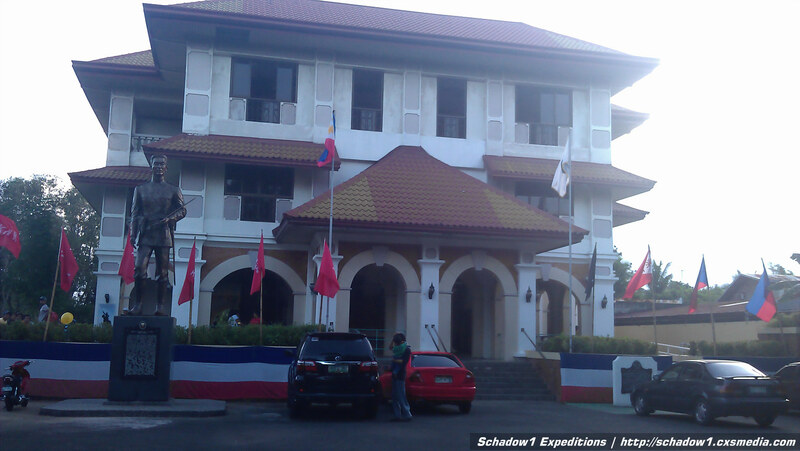 Many is misconceived that his residence here is the location where the present Philippine flag was raised. It actually was not because this same place was bombarded by the Spanish navy from Manila bay during the Philippine-Spanish war at Cavite. It actually was raised for the first time at Alapan. We have also been to the Tejeros Convention site at Gen. Trias, Cavite where the first Philippine election was held for the Philippine Revolutionary government last March 22, 1897 under the call of Andres Bonifacio. 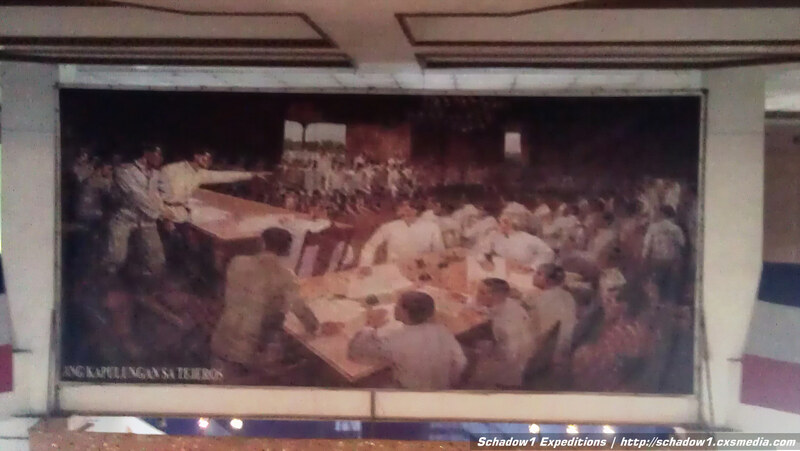 Gen. Emilio Aguinaldo won as President however, Andres Bonifacio only won as Director of Interior. Bonifacio has not undergone formal education yet he led the Katipunan to strike multiple battles in Manila and Bulacan that led to many defeats of Spanish forces. This drawback led to Bonifacio's fall as he was considered an "outsider" being in the middle of people from Cavite. This is one of the sad part of Philippine history where a political party was given more importance than service to the nation. that he must not win any post in the elections because he is not educated. Last stop is the Battle of Alapan. Few people know about this battle but this is the battle that secured Cavite's fate and probably that of the whole Philippines. This happened May 28, 1898 and this is the exact location where the Philippine flag was first raised in victory against 5 Spanish marines brigade. This has sealed the take-over of the Philippines from Spanish colonization rule. The site is inside Alapan Elementary school and is very much unknown to tourist and Filipinos alike. As this location can only be reached via a tertiary road and you have to go inside the school to view it. 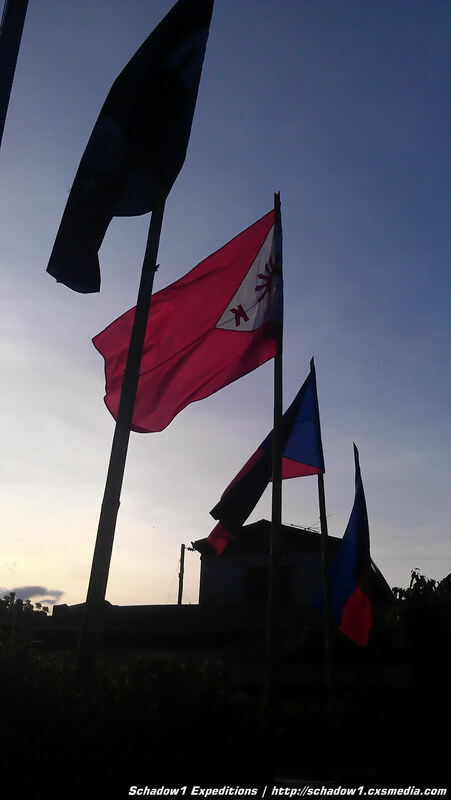 The Battle of Alapan is marked by a lady monument holding a flag and a 90-foot flagpole brandishing the flag of the Philippines. From EDSA MRT Station, ride a jeepney to Baclaran. From there ride a Jeepney or a bus to Alabang. Drop by under the Zapote Flyover at Las Piñas and ride a jeep to Zapote Kabila. Ask to be dropped off at Zapote bridge where you can see the monument. From EDSA MRT, ride a jeepney to Baclaran. From there ride a bus or jeep going to either Imus bayan or Dasmarinas. Drop by at PCI, from there, go to Lotus Mall and ride a jeepney to Gen. Pantaleon PNP Headquarters. Ask to be dropped at the PNP headquarters. Santa Isabel Bridge and the Battle of Imus monument is right in front of the PNP headquarters gate. From EDSA MRT, ride a jeepney to Baclaran. From there ride a bus going to Naic or Ternate. Ask to be dropped at Zeus Gas station. From there ride a jeepney to Kawit or Noveleta and asked to be dropped at Aguinaldo Park. From EDSA MRT, ride a jeepney to Baclaran. From there, ride a bus going to Naic or Ternate. Ask to be dropped at 7-Eleven Gahak. Ride a tricycle beside 7-Eleven tell them that you would like to be dropped off at Alapan 1 Elementary School. Once there, ask the school's guard to allow you to go in as you would like to see the Battle of Alapan Monument. The locations of these historical sites have been plotted and contributed to the OpenStreetMap Philippines project for free use of drivers that needs GPS assistance. nice article Schadow 1 about Cavite. I really enjoyed and aprreciate it. Kindly visit also my PAGE and LIKE and SHARE it. Thank you.